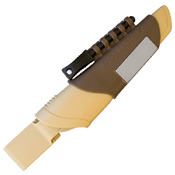 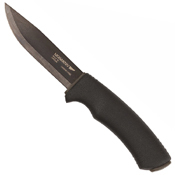 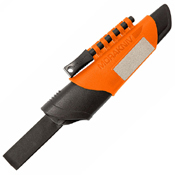 The Bushcraft Survival with its razor-sharp steel 3.2mm blade is one of the most sturdy knives Morakniv has ever made. You can use the back of the blade with the fire starter. The spine of the blade is sharp, ground especially for that purpose. The robust sheath has a with a well thought out space for the firesteel and is completed with a diamond sharpener, making it easy to sharpen the knife blade. 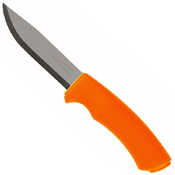 This is a knife that suits a tough lifestyle!